After fifteen years of absence at the North Pole, a man rediscovers Europe on the verge of war in 1929. 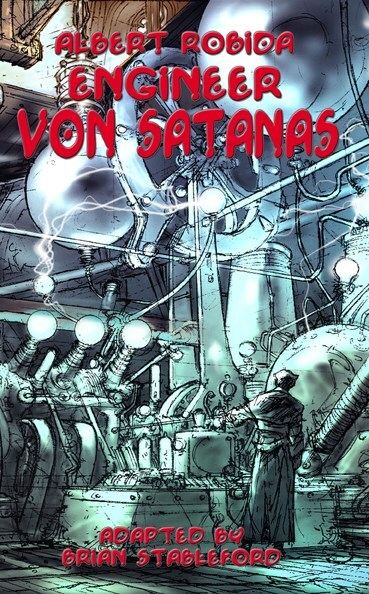 Written in 1919, four years after World War I, The Engineer von Satanas is a classic of futuristic fiction, thirty years ahead of its time, and still relevant today because the threats it describes still exist and still serve as a significant motor of anxiety in contemporary science fiction. The book also includes both the 1883 and 1887 versions of Robida's classic War in the 20th Century. Albert Robida (1848-1926), was a remarkable and far-sighted prophet in anticipating future warfare and its consequences on human survivors. The most interesting fact about the shift between the 1887 and 1919 accounts is his realization, as a result of the actual war of 1914-18, that that he had been more accurate than he had supposed, and far more than he had wanted to suppose. Also included are two additional stories illustrating other close-range reactions to the Great War by French writers who found imaginative fiction an appropriate medium for dramatizing their anxieties.